I’m watching a little football and dropping some anodized Ti Ray Gun Beads today on my Instagram feed @mstheiner today. 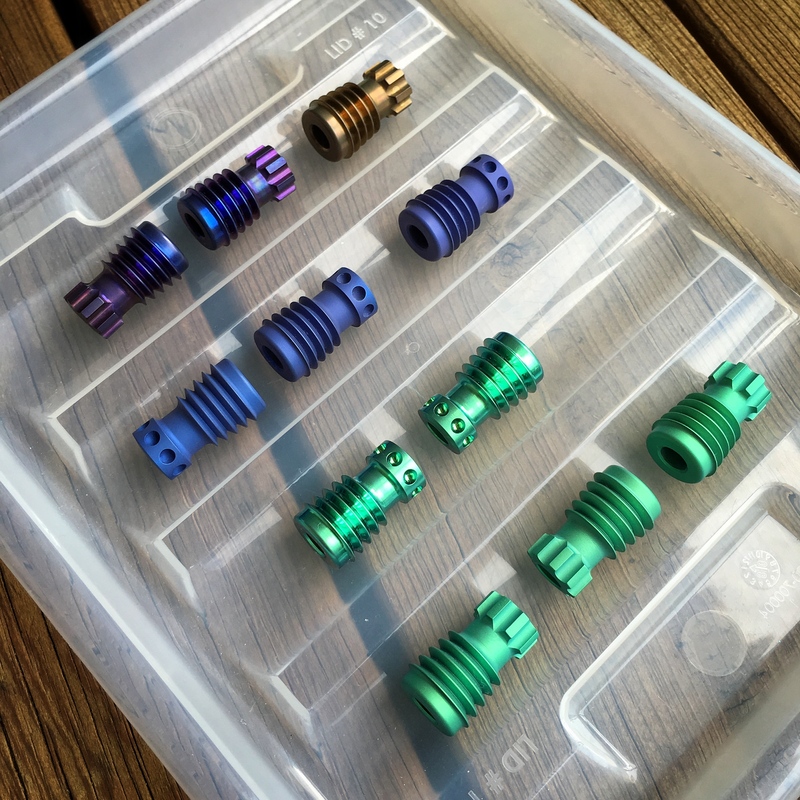 Got some great colors out of these and the blasted Ti beads were etched super deep so they have a Frosty Green and Frosty Blue finish. They look pretty awesome in person! I also have a couple stonewashed (shiny) Toxic Green and a pair of blue-blurple fade beads. The bronze ano is not available at this time.